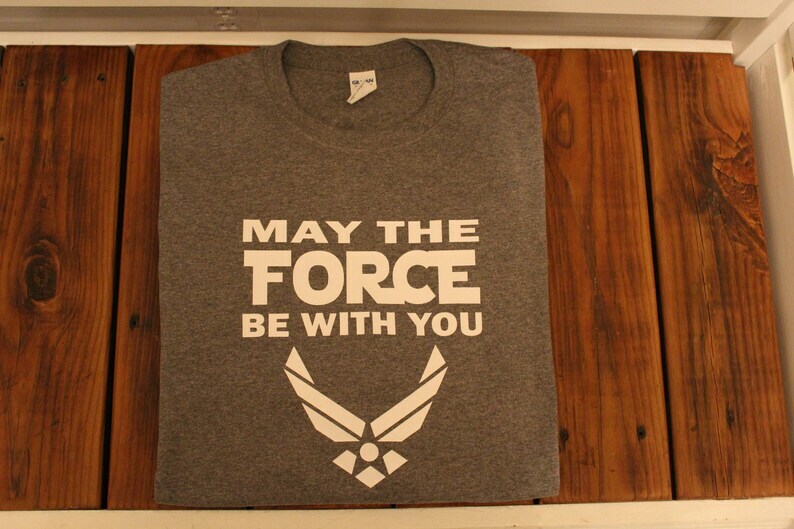 This shirt is a great way to show your pride for Star Wars and the Air Force. Perfect gift for the Airman or Veteran in your life! The shirt is made in Graphite Heather (shown above) which will have white lettering. If you would like a different color vinyl or shirt, please ask for a custom. Thank you. 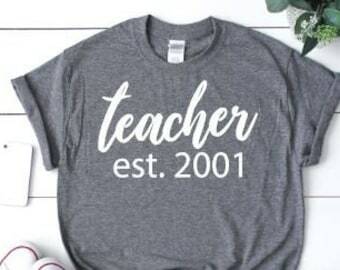 This shirt seemed design for me. My birthday is Start War's day and I am Air Force Veteran. I had to get this when I saw it. Shirt is the perfect gift for my nephew! Bought this for my father as a birthday gift. He's a total nerd and my brother is active duty in Air Force. He loves to rock the Air Force attire. It's soft and fits nicely!